Gulfstream Park, which will host a 12-race program featuring the $350,000 Holy Bull Stakes (G2) and four other graded stakes for 3-year-olds Saturday, will also team with Santa Anita Park and Aqueduct Racetrack Saturday for a Cross Country Pick 4. Cross Country Pick 4 will feature two races from Gulfstream Park, one race from Santa Anita Park and one race from Aqueduct Racetrack. The Pick 4 sequence will start with Race 9 at Aqueduct, a maiden claiming race with a scheduled post time of 5:05 p.m. EST. It will be followed by the Grade 3 Dania Beach, carded as Race 11 at Gulfstream (5:16 p.m.). The final two legs will be key Triple Crown prep races, starting with the Grade 3 Robert B. Lewis as Race 5 at Santa Anita (5:30 p.m.). The Cross Country Pick 4 will be capped off by the Grade 2 Holy Bull Stakes at Gulfstream (5:49 p.m.). The minimum bet for the multi-track, multi-race wager will be 50 cents. 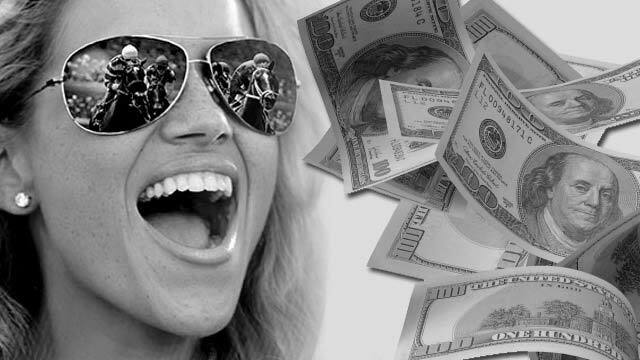 Wagering on the Cross Country Pick 4 is available at OffTrackBetting.com - US Legal Online Account Wagering (ADW). Trainer Graham Motion readily admits that he will derive special pride from saddling West Point Thoroughbreds' Untamed Domain for his 2018 debut in Saturday's $100,000 Dania Beach (G3) at Gulfstream Park. Motion takes a lot of pride in saddling all of his horses, but Untamed Domain, being a son of Animal Kingdom, brings back some pretty special memories for the man who saddled his sire for triumphs in the 2011 Kentucky Derby (G1) and the 2013 Dubai World Cup (G1). "It would be even more fun it we could get him to the Derby," said Motion, whose Grade 2 winner and Grade 1-placed colt has been installed as the 8-5 morning-line favorite in a field of 10 entered in the mile turf stakes. "To have one of his best horses, it's quite gratifying. It's quite gratifying for it to come full circle like that." The Dania Beach, one of five graded stakes for 3-year-olds on Saturday's card headlined by the $350,000 Holy Bull (G2), could well lead Untamed Domain onto the Kentucky Derby trail, despite the fact that the one-mile stakes is scheduled to be run on turf. Just a week after hosting the $16 million Pegasus World Cup Invitational (G1), the world's richest race, Gulfstream Park gets the graded portion of its prestigious series of stakes for 3-year-olds under way with the 29th running of the $350,000 Holy Bull Stakes (G2). The Holy Bull gives points to the top four finishers that will help them earn a spot in the Kentucky Derby starting gate. The Holy Bull Stakes is named for Hall of Fame racehorse Holy Bull and run at Gulfstream Park over a distance of 1 1/16 miles. Led by 2017 Breeders' Futurity (G1) winner Free Drop Billy, a total of 26 3-year-olds were nominated for the 1 1/16-mile Holy Bull, one of five graded stakes worth $950,000 in purses on the Saturday, Feb. 3 program. Headed by Jerry Hollendorfer's Shivermetimbers, Saturday's Grade III, $150,000 Robert B. Lewis Stakes has attracted a field of nine Derby hopefuls at a mile and one sixteenth, with the winner to receive 10 Kentucky Derby qualifying points. Named for one of the most popular owners in California Thoroughbred racing history, the Lewis serves as a traditional prep to the Grade I, $1 million Santa Anita Derby at a mile and one eighth on April 7. In a field devoid of a stakes winner, Shivermetimbers is the logical favorite, as he's been idle since breaking his maiden going a flat mile on Nov. 23 at Del Mar, a race in which he earned a Lewis-best last-out Beyer Speed figure of 90.